How do I get my Prolost Burns, Boardo, Speedramp, or Handcrank work from After Effects into Premiere Pro? Importing an After Effects composition into Adobe Premiere Pro. If you try to import an After Effects project that uses the Prolost Presets into Premiere Pro, you'll get an annoying error. Here's the fix, which also happens to be the super cool workfflow for using After Effects compositions in Premiere. Because the Prolost Presets use expressions, which Premiere doesn’t support, you can’t import your Prolost Burns, Boardo, Speedramp, or Handcrank compositions into Premiere. But you can link them, using Adobe Dynamic Link. After creating your sequence in After Effects using the Prolost Presets, save the project as usual. 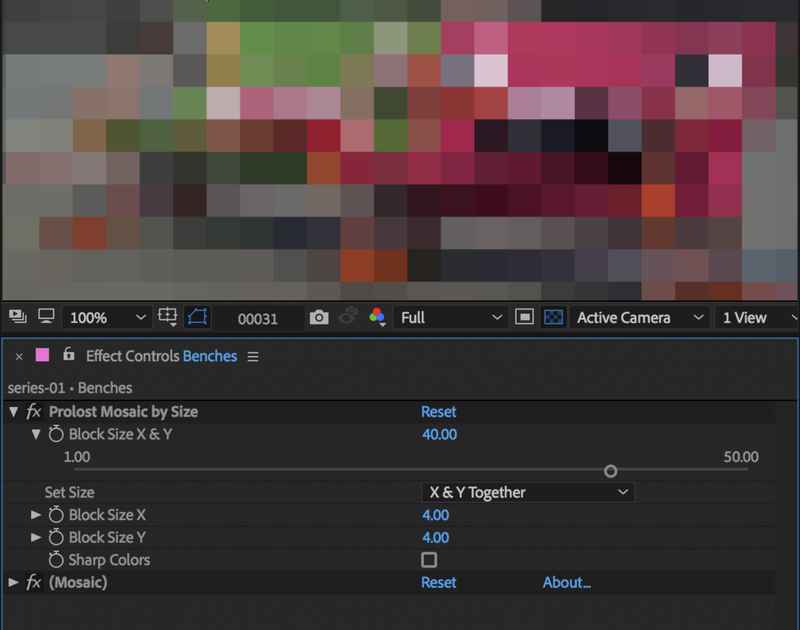 Navigate to your After Effects project file in the Import window, and select it. You should see your After Effects compositions on the right. Choose the composition you want to import, and click OK. The selected After Effects composition will be added to your Premiere Pro project, and you can now edit it into your sequence. The imported composition maintains a link to the After Effects project, so you can continue to make changes in After Effects, and they will update instantly in Premiere. But After Effects doesn’t have to be open when working with the imported composition in Premiere. How do I use Prolost Boardo with my own storyboard templates? Prolost Boardo is designed to work with any kind of storyboard images. There are some presets and templates for iPad drawing apps I like, but you can easily use it with any storyboard images from any source. When drawing storyboards, it's useful to have some extra room around the frame guide, so that you can draw a little more of the scene than is strictly covered by the camera. This gives you a little extra room to draw your shot, and the extra drawing comes in handy when creating camera moves with Boardo. Since any storyboard template could have a different amount of extra room around the frame guide, Boardo allows you to set up scale and position offsets, so that at the default settings, your shots will be properly framed. Configuring Boardo to work with a storyboard template is as simple as adjusting these offsets so that the image within the frame guide is properly framed in the After Effects comp. The following are step-by-step instructions for customizing Boardo to work with your own storyboard template. Let's say you want to draw your storyboards in Photoshop using a Wacom Cintiq. You create a template that is, say, 2,000 pixels wide, and 1,500 pixels tall. Centered within that, you draw your frame guide — a 16:9 (or whichever aspect ratio is appropriate for your project) rectangle on its own layer, slightly smaller than the 2,000-pixel width of the document. You'll draw your storyboards underneath that layer, and export them without the guide. Tip: It doesn't matter where you draw your storyboards, but central to the design of Boardo is that you draw them using a framing guide that doesn't export with the drawings. So either choose a layered drawing app like Photoshop or Sketchbook Pro, or an app with a built-in template/custom paper feature, such as Noteshelf. You'll export your storyboard frames without the framing guide, but for setting up Boardo, you should export one image, at the same size as your storyboard frames, that includes the frame guide. Import your template frame into After Effects and add it to a comp of the resolution you plan on using for your storyboards. See the User's Guide for a detailed list of recommended resolutions. The layer will change position and scale, but probably won't line up correctly yet. Do not touch any of the Start or End Pan, Tilt, or Zoom controls. Leave them at their defaults. At the bottom of the Boardo controls, twirl open the Setup group. Here you'll find three controls: Scale Offset, Horizontal Offset, and Vertical Offset. Use these to adjust the size and position of the layer, until the frame guide in your template lines up with the edges of the comp. Tip: If your frame guide is centered, you can leave Horizontal Offset and Vertical Offset at zero. Scale Offset should be all you'll have to adjust. Apply Boardo to all your shots. Copy the settings from the one you calibrated, and paste into the other shots. That's it! Now all your shots are framed correctly, and you can start animating your board-o-matic. What items are in the Prolost EDC photo? When I remove an After Effects preset from my layer, I get expression errors. Yeah, this is a bummer. When you delete the preset from a layer, you're actually only deleting the "pseudo-effect" containing the sliders and other controls. Often, there are expressions on the layer that are linked to these controls. You delete the effect, the expression can't find the controls, so they throw errors. If you apply a preset and then undo it, you'll be right back where you started, with no expressions. After deleting the preset effect, select the layer and press EE (press E twice in rapid succession) to reveal all properties with expressions. When I apply an After Effects preset, I get an error message about a missing effect. If you’re using an older version of After Effects, such as CS6, you may see an error message when you apply the Prolost After Effects presets. This “missing effect” error does not harm your ability to use the presets. Just press OK to bypass the message, and use the presets normally. They’ll display in the Effects Control Pane as “Missing,” but there’s nothing wrong, and the presets will work perfectly. You’ll also see the missing effect error when you re-open a project that uses the presets. The error is annoying, but harmless. Adobe has fixed this issue in recent versions of After Effects CC. I’m trying to install After Effects presets. Where is my User Presets folder? The Prolost After Effects presets work best in your User Presets folder. The location of this folder varies with your operating system and your After Effects version. Sometimes After Effects fails to create this folder — see below. Launch After Effects, and create a new project. Create a new composition, and a new Solid Layer. Apply any effect to the Solid. A Save dialog should appear, targeting the User Presets folder. Save the file with a name like junk.ffx. Be sure not to change the destination folder. You should now have the User Presets folder corresponding with your version of After Effects (see above list). Install your Prolost preset(s) as instructed. After you install your Prolost preset(s), you can delete junk.ffx. ...then you have to create the User Presets folder manually, like an animal. Make it look just like the file paths above — whichever one matches your OS and After Effects version.